STACK Expert Miquel Aragoncillo oulines common mistakes athletes make on the Kettlebell Swing and provides solutions so you can maximize the benefits of this exercise. If the Kettlebell Swing isn't a part of your workouts, it's time to reassess your training. It's one of the simplest and most effective ways to increase powerâthe key to unlocking athletic performance. The exercise seems simpleâyou swing the kettlebell up and down between your legs with your arms straight. However, a few common mistakes can turn this exercise into a complete dud and put you at risk for an injury. If the Kettlebell Swing isn't a part of your workouts, it's time to reassess your training. It's one of the simplest and most effective ways to increase power—the key to unlocking athletic performance. The exercise seems simple—you swing the kettlebell up and down between your legs with your arms straight. However, a few common mistakes can turn this exercise into a complete dud and put you at risk for an injury. Shifting your knees forward causes the swing to resemble a Squat, activating the quads and hip flexors. Instead, the swing should resemble a Deadlift to maximize glute activation. Solution: A simple fix is to push your hips back as the kettlebell swings through your legs. To further emphasize a proper hip hinge, set up a hurdle in front of the arc of a properly performed swing. If the kettlebell hits the hurdle during the exercise, you shifted too far forward. Lifting the kettlebell above shoulder level turns the movement into a Front Raise, which is not the goal of this glute power exercise. (If you want to work your shoulders, you can do DB Front Raises at the end of your workout.) 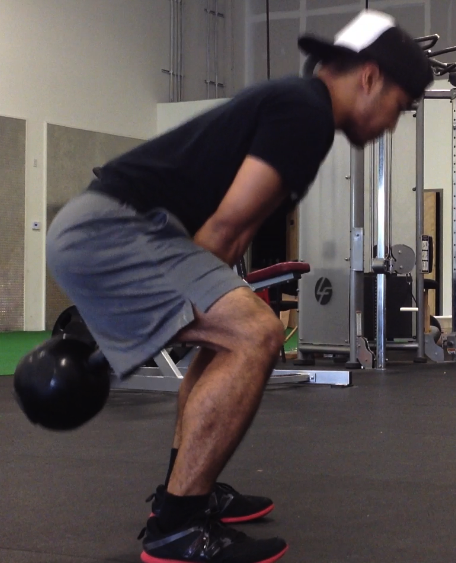 Also, lifting the kettlebell too high forces your lumbar spine to extend, putting unwanted stress on your lower back. Solution: Realize that your arms are simply along for the ride, and the swing is solely powered by your hip drive. Also, pack your shoulders by pulling them down and back. 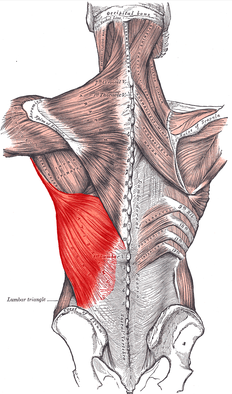 This engages your lats and increases tension in your upper body to more effectively transfer the force produced from the hip drive to the kettlebell. Kettlebell Swings should not be arbitrarily strung out around your workout. You should have a specific goal in mind to maximize its benefits. Performing Kettlebell Swings after your dynamic warm-up and before other exercises ensures that you can swing the bell with max power. It also activates your glutes and core, priming your body to lift heavy weight in subsequent strength exercises, like Squats or Deadlifts. Perform three to four sets of eight to 10 reps with a heavy weight, and focus on the speed of the movement. You can also perform Kettlebell Swings at the end of your session to build aerobic and muscular endurance. You will still increase strength and power, but they will not be the priority. Perform three sets of 12 to 15 reps with a moderately heavy weight. You can also incorporate the exercise as a finisher, such as in a Tabata circuit. You now understand some of the basic concepts of the Kettlebell Swing, so you can effectively incorporate this great exercise into your program. But, that's not all. Here are few more tips to consider when performing the exercise. Hold the kettlebell with a firm grip. Swing the kettlebell high between your legs, not low through your knees. For an additional challenge, perform with one arm at a time. Lake, J., & Lauder, M. (2012). "Kettlebell Swing Training Improves Maximal and Explosive Strength." Journal of Strength & Conditioning Research, 2228-2233.